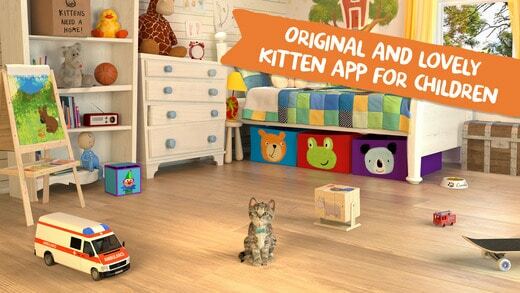 This week’s free app is the 3D cat simulation game Little Kitten – My Favorite Cat. Normally it’s $2, but you can get it free from iTunes until Thursday, May 18th. The best way to describe it is that it’s everything people love about kittens. Cute, playful and unpredictable. 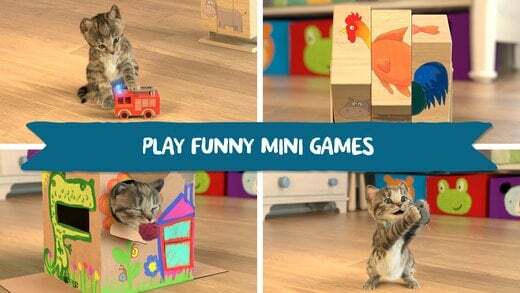 Your kitty’s home has lots of activities and toys for you to find as the player. Of course, the kitten is adorable! If all you want to do is pet it, that will keep most kids occupied. Feed it, play with it, you can even paw paint with it. The app has seven different activities you can do with the kitty. I’m a dog person, but this game even melted my heart a little. I’m sure cat people would enjoy it, but the game’s target is little kids. With all the different options to explore, I can see this being a road-trip worthy app. The app takes up about 850MB, so it’s not for smaller devices. It also requires newer devices such as iPhone 5 or later. I’m keeping this one for the “are we there yet?” moments this summer.